As a leader in dental education, Hu-Friedy aims to provide the most up-to-date information to clinicians to further their understanding and meet the needs for their practice and patients. The Global Dental Implants market is rapidly growing and raising the bar for dental practitioners everywhere. 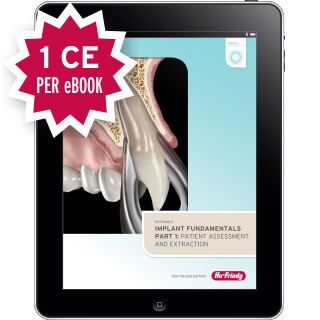 Hu-Friedy's Implant Fundamentals is a complete, three-part eBook series focused on the life cycle of a dental implant, and is now available as CE. 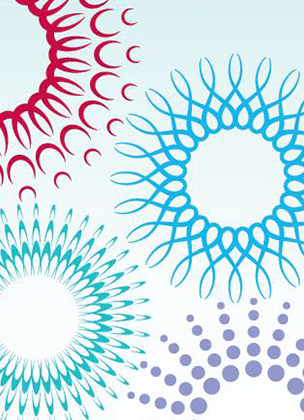 As each section of the eBook concludes, participants will have the opportunity to earn 1 complimentary CE credit by taking a post-test reflective of the content in that section. In Part I of Implantology Fundamentals, participants will learn about how to best prepare for implant placement in order to achieve long term success. Key points of discussion include patient assessment and treatment planning as well as preservation of the implant site through atraumatic tooth extraction. The course also covers the use of surgical templates, grafting, and guided bone regeneration (GBR). In Part II of Implant Fundamentals, participants will learn different surgical techniques for implant site preparation and review considerations and importance of implant abutment options. Requirements and types of connection designs and abutment types will also be covered. In this final part of Implant Fundamentals, participants will learn about the appropriate care and maintenance that is necessary after an implant has been placed. This segment reviews the different instrumentation that may be required to maintain healthy implants, as well as the signs and symptoms of a failing implant that require replacement.